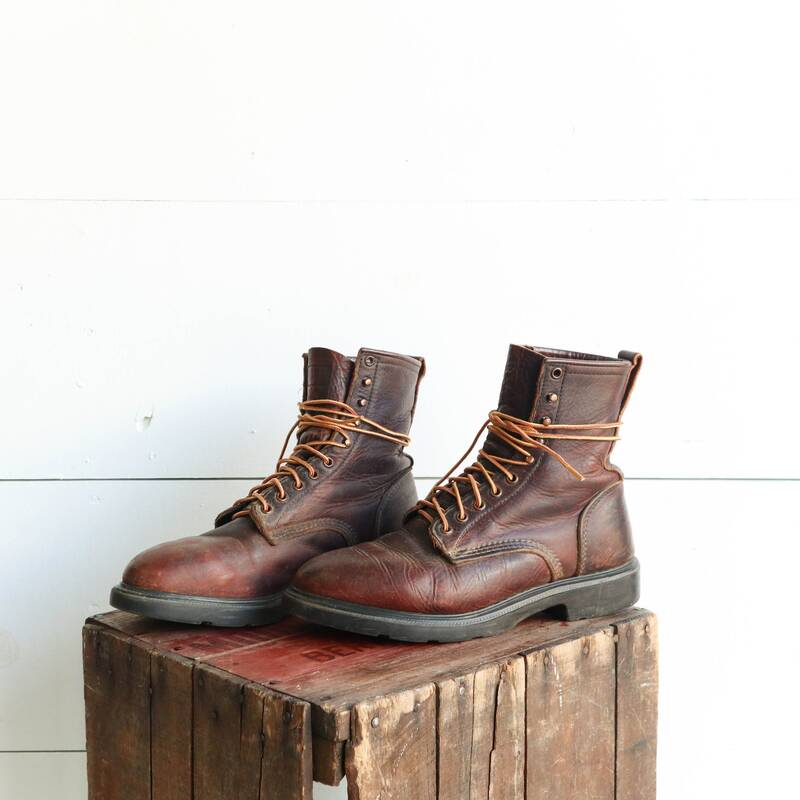 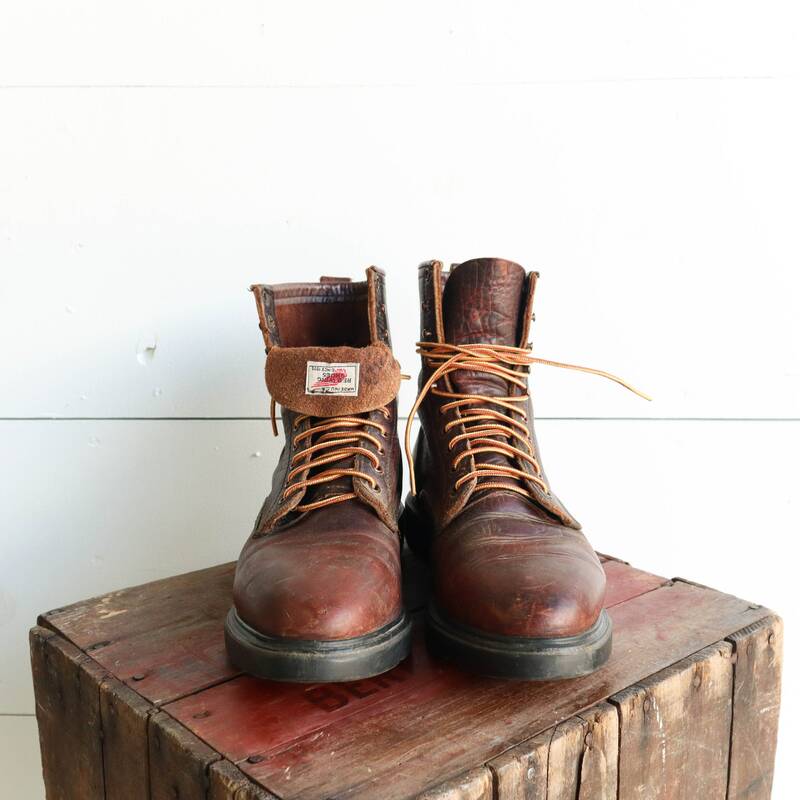 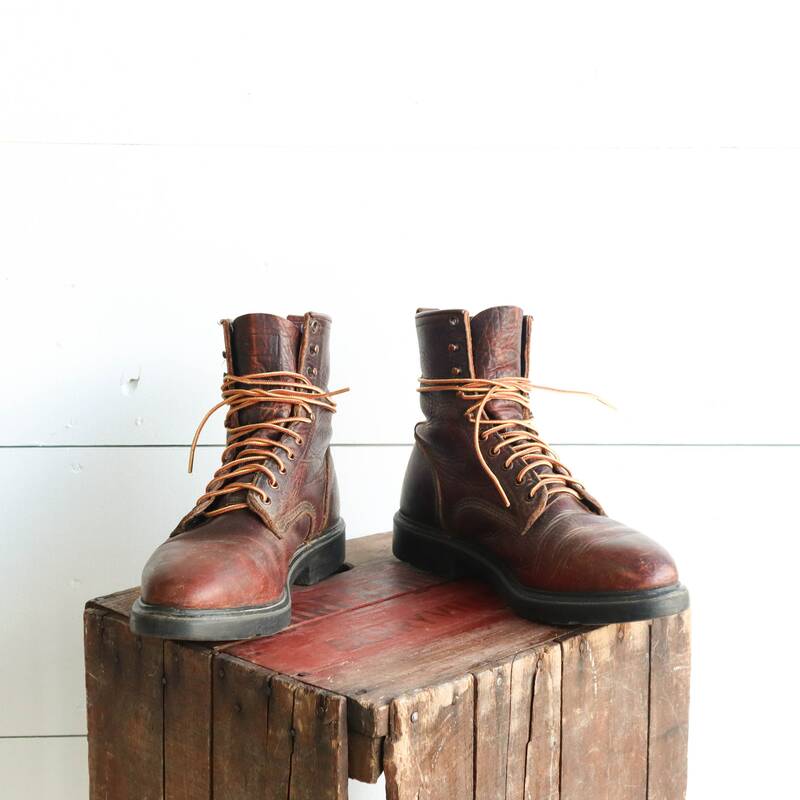 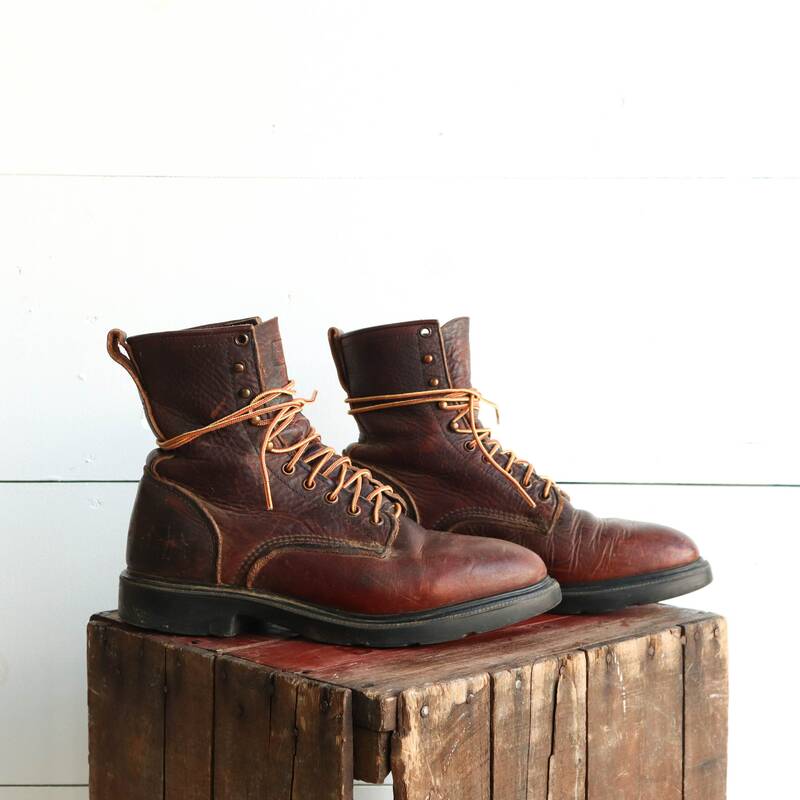 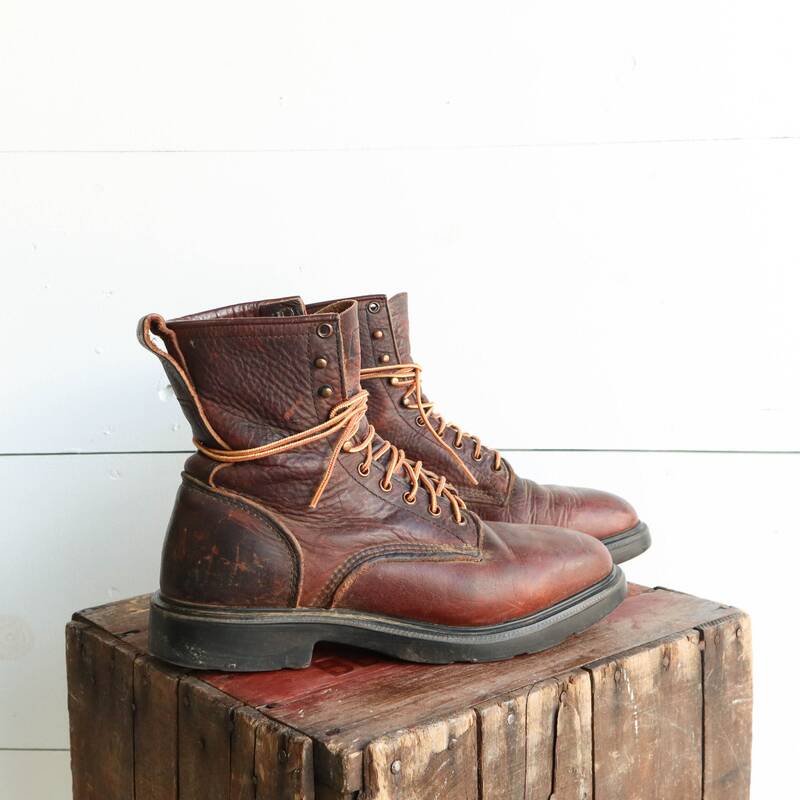 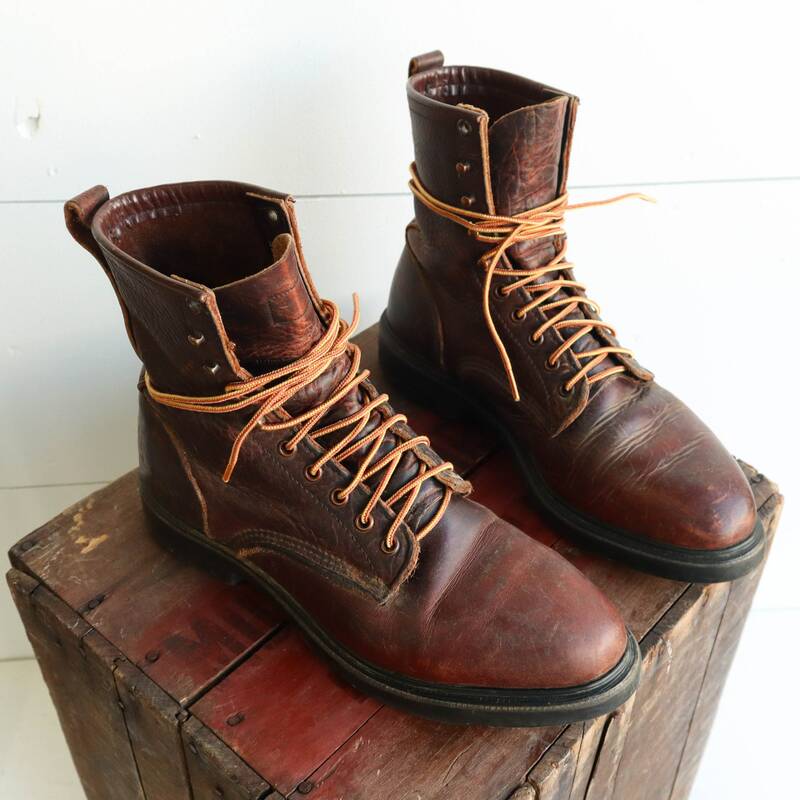 The Red Wing work boots are a gently worn in, but in good shape. 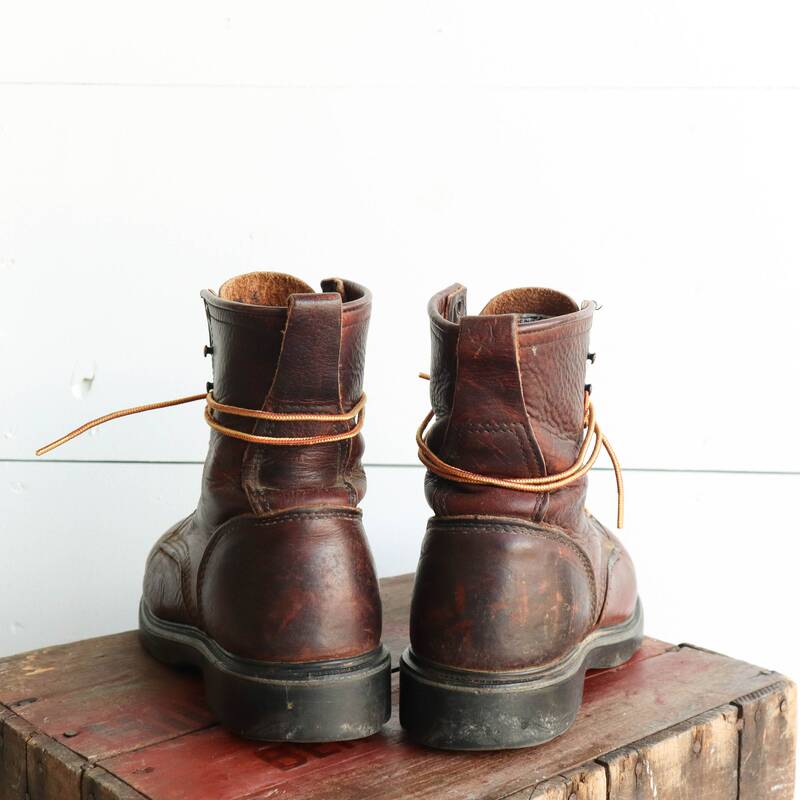 The boots are made with thick leather uppers and rubber soles, the marked size is handwritten on the tongue. 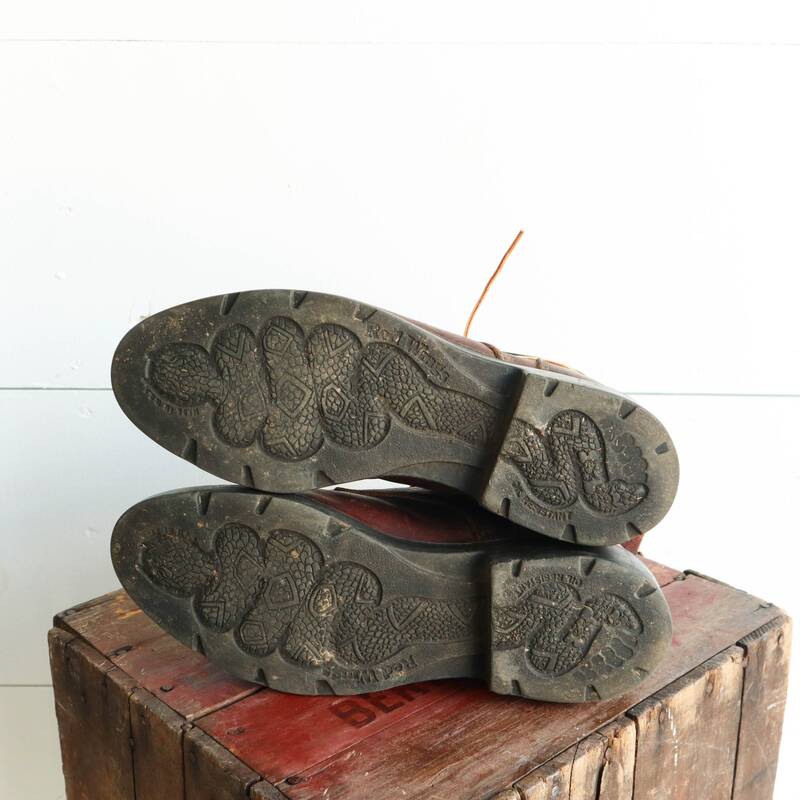 Double check measurements.